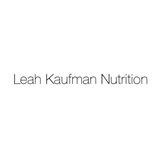 Leah Kaufman Nutrition (New York) - Book Appointment Online! Very professional and thorough. She is very knowledgeable and takes the time to fully understand your issues. Highly recommended.